Packed full of features the popular GPSMAP series expands with the GPSMAP 64S Handheld GPS. 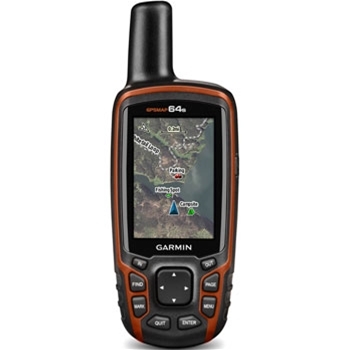 Designed with the Avid outdoorsman in mind, the 64S is Rugged and Waterproof with built in Electronic Compass and Barometric Altimeter, 1 Year Birds Eye Satellite Imagery Subscription and Wireless Connectivity for waypoint, track and route sharing. 1 Year Birds Eye Satellite Imagery Subscription Included! 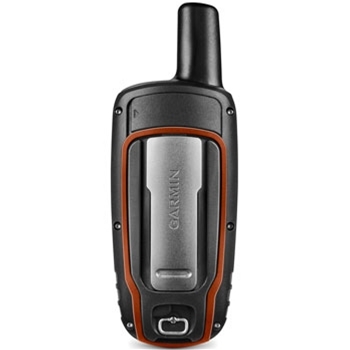 Built with the outdoorsman in mind, the Garmin GPSMAP 64s Handheld GPS is rugged and waterproof to IPX7 standards – can withstand being submerged in 1 meter of water for up to 30 minutes without damage to the unit. 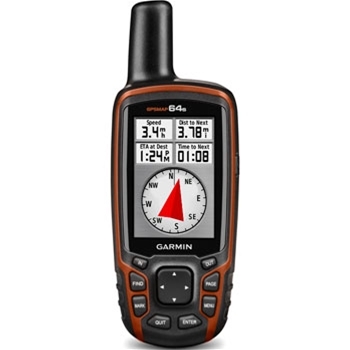 The bright 2.6” display is sunlight readable and shows the preloaded worldwide basemap which can be expanded with Garmin’s extensive line of Mapping Software either from DVD onto the 4GB of available internal memory of by adding a preloaded SD card to the expandable memory. See your position on the map as you move about and never worry about finding your way back to your starting point. A Quad-Helix Antenna with both GPS and GLONASS receivers ensure you quickly locate and lock on to your satellite position. Even in heavy coverage or deep canyons you don’t have to worry about losing your location and keeping on track. 5,000 waypoints, 200 routes and 10,000 points with 200 saved routes allow plenty of storage for marking an important spot, setting a route or finding your way back to your starting point with trackback. With 250,000 paperless geocaches, Birdseye Satellite Imagery and Garmin Custom Map compatibly this GPS provides all you could want. Lightweight and compact, the Garmin GPSMAP 64 s is a perfect addition to your next outdoor adventure. Each GPSMAP 64S comes with: Garmin GPSMAP 64S,Carabiner Clip, 1 Year Birds Eye Satellite Imagery Subscription, USB Cable, Quick Start Manual, and a One-Year Warranty. Electronic Compass and Barometric Altimeter. Preloaded with 250,000 Paperless Geocaches. Built-In High Sensitivity GPS Receiver. Supports - Lat/Lon, Loran TD's, UTM/UPS, MGRS , Plus other Grids Including Maidenhead. Garmin GPSMAP 64s 24K Topo Bundle includes the Garmin GPSMAP 64s Handheld GPS unit bundled with a Garmin Topo US 24K microSD/SD card region of your choice.